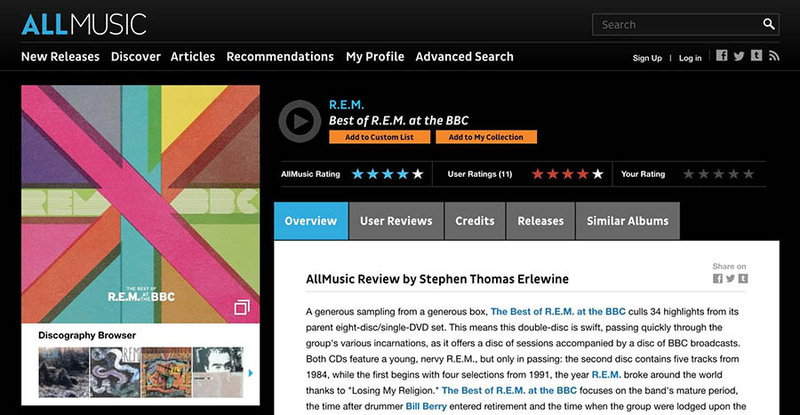 Reviews have become ubiquitous online, and it’s not hard to see why. Both professional and user reviews provide first-hand information that can help you make informed purchasing decisions. The best part is that anyone with some writing skills and passion can start a review site for themselves. A review site is one of the best ways you can use your knowledge and interests to create valuable content. By reviewing products in a particular niche, you can be creative while leveraging your expertise to help readers find the best solutions and services. Plus, you can even earn a decent income at the same time. In this article, we’ll talk about the basics of a review site and discuss why you should consider starting one. We’ll also show you what’s needed to make it successful and talk about how you can enhance it using the right theme and plugins. Let’s get to work! What do you do when you’re considering buying a particular product, but you’re not sure it’s right for you or worth the money? Like many people, you most likely seek out reviews to help answer your questions. Whether these are written by individual users or provided on dedicated sites, they can be immensely helpful when you’re trying to make informed decisions. Sites dedicated to offering reviews are aptly referred to as review sites. While this moniker is accurate, it’s also somewhat vague, as it refers to a variety of websites. For example, some sites aggregate many different people’s reviews. Rotten Tomatoes fits into this category, as it combines film reviews from professional critics and users to create an average score for each movie. Similarly, sites like TripAdvisor are entirely devoted to user reviews of hotels and other establishments. However, a review site could also feature content created by one or more specific writers. These sites function similarly to print magazines, in that they usually have a roster of hired authors or freelancers who produce content. They can also vary widely in scope and subject matter, from huge international brands like Eurogamer to one-person operations such as Wake Up For Makeup. This broad spectrum of possibilities means it’s both possible and easy for pretty much anyone to create their own review site. We’ll be showing you how to do just that throughout this article. In many cases, the main reason you would want to start your own review site is simply that you enjoy the work. Most sites of this nature are run by people with a passion for a particular topic. However, review sites offer a number of more practical benefits as well. For one, review sites can be excellent at driving traffic. We mentioned earlier that a lot of people will go looking for reviews before making purchases. So if you can write content that is clear, engaging, and authoritative, you’ll be primed to receive plenty of visitors. One of the reasons for this popularity is that review sites are uniquely suited to Search Engine Optimization (SEO). That’s because your posts will almost by default match the keywords users are most likely to search for. For example, imagine that you run a review blog about WordPress plugins, and you write a post about Contact Form 7. You’ll most likely name it something to the effect of “Contact Form 7 – Review.” Someone curious about this plugin is most likely going to use a very similar search phrase, such as “contact form 7 review,” which makes it a lot more probable that they’ll stumble across your article. In addition to the SEO benefits, a review site also provides you with a lot of freedom over how you structure and display your reviews. You could make your site very basic and just use a standard blog interface, which is familiar to many people and easy to maintain. One example of this in action is IsItWP. However, you could also go bigger and create a more structurally-complex site with an advanced scoring system, multiple reviews per product, and more. For example, HostingAdvice offers granular scores for added precision. Finally, a review site is particularly well-suited to being monetized. You have many options — such as including affiliate links alongside your reviews or featuring paid advertisements that are separate from your main content. However, it’s critical to remember that you don’t have to (and, in fact, shouldn’t) change the content of your reviews to suit your advertisers. If you’re not honest and frank with your users about the products you’re reviewing, they aren’t going to trust you and won’t stick around for long. Before you start sharpening your critical wit, you’ll need to do some planning. First of all, you’ll naturally need to decide what the subject of your review site is going to be. As we discussed earlier, an excellent place to start when picking a niche is by considering your own interests. This will help you produce more authoritative reviews, as you’ll have some pre-existing knowledge to rely on. After all, few would be interested in reading reviews about board games, for example, if the writer clearly had little understanding of or experience playing them. Being passionate about your chosen topic will also make the overall experience much more enjoyable. When it comes to finding a niche you can fill, it’s a good idea to do some market research. You can start by looking at other review sites and investigating forums related to your subject matter, to see what users think of your competitors. This might give you some ideas about how you could tailor your reviews to better serve your target audience. If you can find an angle that no other site is using, you’ll have a better chance of success. You should also decide what methods you want to use to monetize your site. This could involve featuring paid advertisements, such as banners, or including affiliate links alongside your reviews. You could also offer exclusive content to those who sign up for a paid subscription. At last, you’ll need to consider the more practical aspects. What will your website look like and who will actually be writing the reviews? If you’re starting small, you might want to begin with a simple blog and yourself as the sole author. However, you can also go big right away with a more intricate structure and even hire a whole team of writers. Naturally, the scope of your site will depend largely on your goals and budget. It’s often best to start smaller and then expand your site over time, as this will minimize risks and enable you to grow organically as you receive more traffic. This is similar to creating a Minimum Viable Product (MVP), where you start with a bare-bones approach, focusing on a simple layout and high-quality content, and then scale it up gradually. Once you have a plan and a niche in place, you’re ready to get busy with the fun part — actually creating your review site. To help you along, we’re going to walk you through the main steps involved. We’ll be using WordPress, so you’ll first need to install and set up a website, which should only take you a few minutes. After that, you’re ready to get to work! Memorable. It’s important that your name sticks in people’s memories. Making it short and punchy is a smart way to ensure this. Unique. Naturally, you don’t want your site to get confused with anyone else’s. Once you have a list of possible names, simply use a search engine like Google to ensure that no other site is already using it (or a name that’s too similar). On-brand. Make sure that your site’s name matches its identity and target audience. For example, a ‘quirky,’ modern name might not be ideal if you’re aiming for a straightlaced professional market. However, that type of name could be perfectly suited to a site with a more casual approach. It’s also essential that you can purchase a domain that matches your site’s name. As such, it’s a good idea to use a domain checker, to see if your top choices are available at a reasonable price. If you’re still struggling to think of a decent name and matching domain, there are also name generation tools that can help you brainstorm ideas. DomainWheel, for example, will create suggested names based on a specific term or category. Once you have your domain in place, you’ll also need to consider hosting. Since you’re likely expecting a decent amount of traffic, you’ll need a hosting plan that can ensure top-notch performance at all times. This will also ensure scalability as your site grows over time. Our recommendation would be to go with a WordPress-specific hosting plan, as this will make setting up and maintaining your site simple. Next, you’ll want to consider your site’s appearance. Fortunately, there are plenty of WordPress themes tailored specifically to review sites. 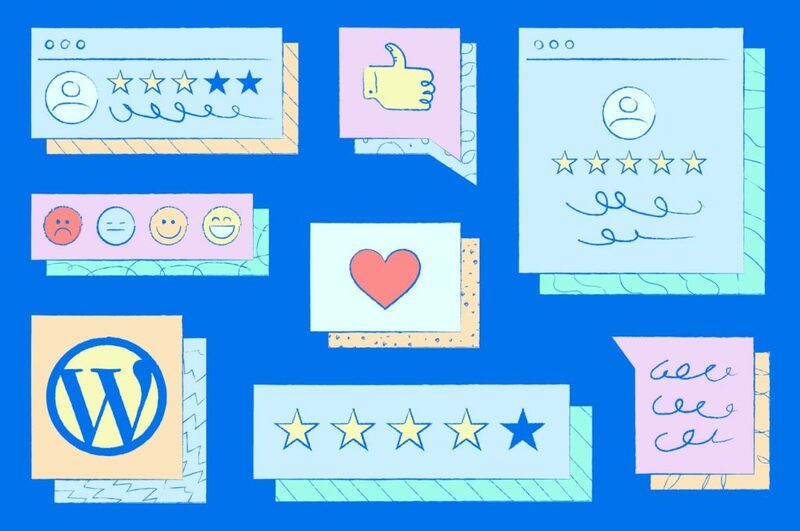 While you don’t need to use a dedicated review theme, it can offer you several unique benefits. 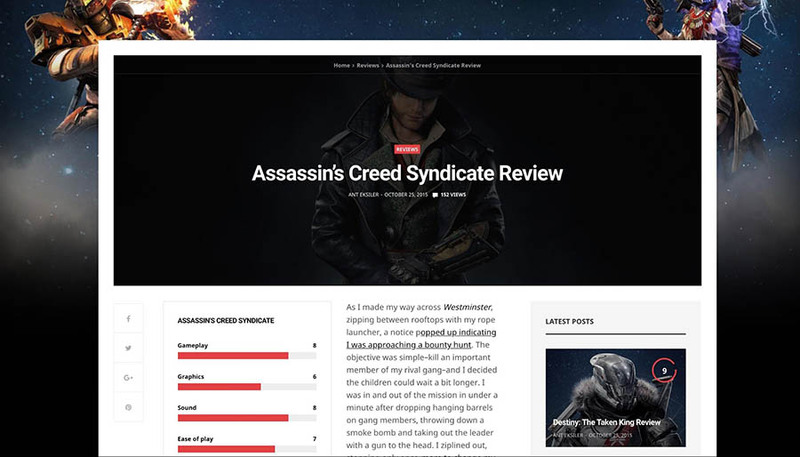 First of all, a review theme will be able to accommodate the layout and style of a review site easily. Many review themes also include specific functionality that can come in handy, like styles for applying scores or the ability to create lists of the reviews with the highest ratings. One example is the InReview theme. This theme enables you to showcase your reviews alongside your final scores. You can also display ratings from your users to give readers a more rounded overview of each item. If you want something more stylish and with a magazine-like feel, there are also lots of suitable options. One of our favorites is the GoodLife theme. With this theme, you can style your reviews using several different templates. Its goal is to help you create a modern, clean look, where the content is the central focus. Ultimately, the theme you decide to use depends mainly on your goals and target market. As such, it’s worth spending some time to find the perfect option. With the right theme installed, your site might already be equipped with some useful review features. However, you can improve its functionality even further by adding some select plugins. In this section, we’re going to introduce a few of the best plugins to enhance your review site. Let’s start with WP Product Review, which enables you to design a scoring interface. Once you’ve installed this plugin, you can specify if a post is a review. Then you can assign scores to the post and designate parameters, such as Pros and Cons. Plus, everything can be fully customized with new colors and icons. In addition to displaying scoring information on your site, you can also highlight it right in Google’s search results. To do that, you can use All In One Schema Rich Snippets. This tool will add schema markup to your pages, which will display information such as scores when your posts appear in search results. This can help your content stand out more, which is crucial for encouraging organic traffic. Finally, you may want to give your users the chance to submit their own reviews and scores. 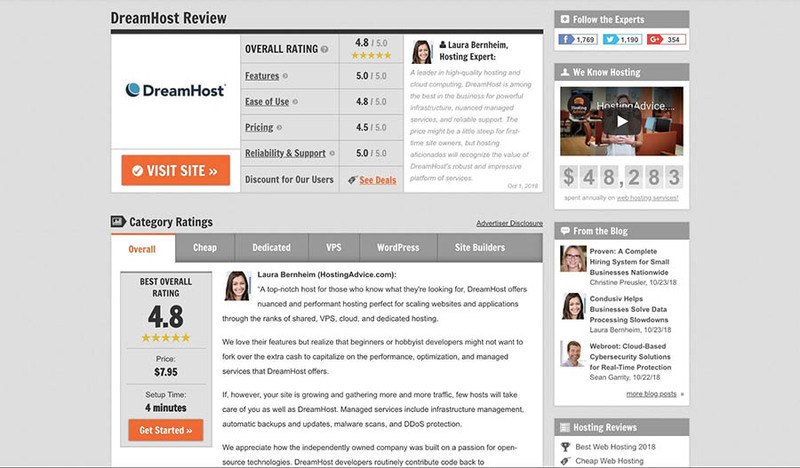 One plugin that lets you do this is Ultimate Reviews. This plugin lets you support user reviews, even enabling you to tailor precisely what information they can include. You could implement a simple score-only system, for example, or provide the tools needed to write long-form reviews. Naturally, this is only scratching the surface of the plugins that are available. 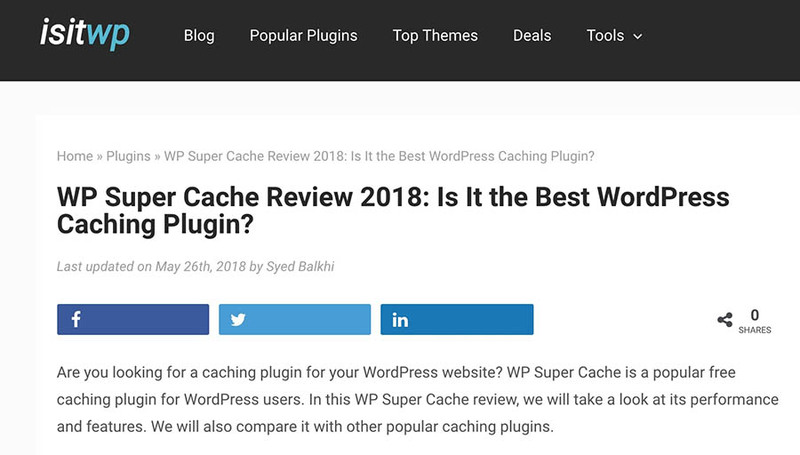 For instance, you can also use a plugin like Reviewer WordPress to create a review comparison table, and Taqyeem to implement a summary box for your reviews. The possibilities are just about endless. Finally, the moment has come to actually start writing your reviews. Of course, we can’t help you much with this part, as you’ll need to rely on your own writing skills and critical thinking. However, to get started you may want to check out our blogging checklist and take a look at our expert blogging tips. We also recommend that you create a style guide. This will help you write consistent reviews that follow a specific set of standards, especially when it comes to the style of writing and the criteria you’ll use to rate products. A style guide is particularly helpful when you’re bringing in other writers, as it ensures that all posts follow a consistent ruleset. However, you’ll also want each writer’s personal style shine through, so try not to get too specific to avoid stifling their unique voices. It’s also a smart idea to have a handful of reviews ready before you launch the site. This will ensure that your site doesn’t feel empty when it goes live. You want to give your new visitors a good first impression, after all, and provide them with a reason to stay around longer. Once your site has gone live, you’ll need to make the world aware of its existence. As such, you’ll want to start marketing your website right away, to ensure that you get a steady stream of traffic right out of the gate. Naturally, you’ll want to spend some time on SEO and make sure your site has a presence on social media. Share your reviews frequently and encourage your readers to do the same. The more your content is spread around, the more traffic you should see as a result. You might also consider submitting your site to a review aggregator. As we mentioned earlier, these sites collect reviews from multiple places to calculate average scores. 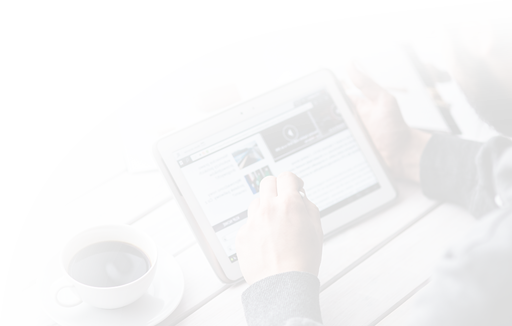 Being featured on this type of site can help your reviews become more visible and reach new readers. If you want to build an audience and make money online, while working with a subject matter that interests you, a review site is an ideal vehicle. By creating well-written and engaging reviews, you can provide valuable information to your readers, and create ample opportunity to monetize your work. Do you have any questions about starting your own review site with WordPress? Join the DreamHost Community today and ask away!